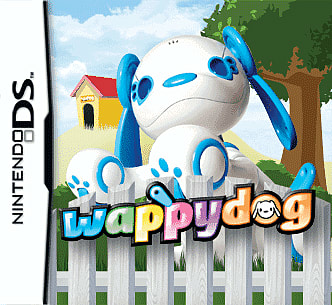 The next evolution of virtual pets arrives on the Nintendo DS family of handheld systems with Wappy Dog, a toy puppy that interacts with the player through the Nintendo DS. Wappy Dog engages gamers to raise their very own interactive puppy in both the real and virtual worlds and teach cool tricks, play mini-games and even converse! 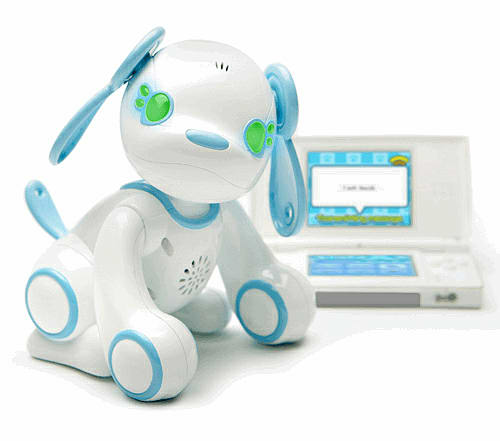 In Home Mode, communicate with Wappy via your Nintendo DS, and watch the physical dog react appropriately. In Travel Mode, interact with Wappy inside the Nintendo DS’s virtual world. Every Wappy Dog experience is a personalised one. 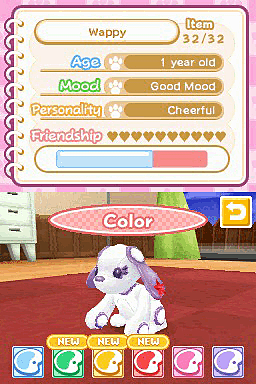 Give Wappy another name, customise both the in-game version and physical dog with different colours and accessories and choose from various environments and toys. 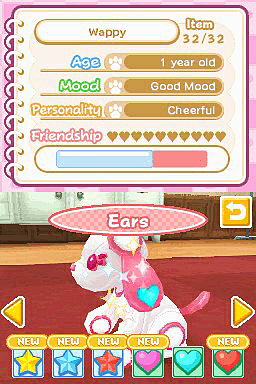 Your interaction with Wappy determines the dogs constantly evolving personality, skills and happiness, just like a real pet… one that sings and dances that is!